Food plays an important role in controlling blood sugar levels and treating diabetes. One of the significant step in preventing or controlling diabetes is to lose weight. It can be achieved with regular exercise and a healthy diet plan. Controlling the amount of carbohydrate intake is important to control weight gain and blood sugar level. 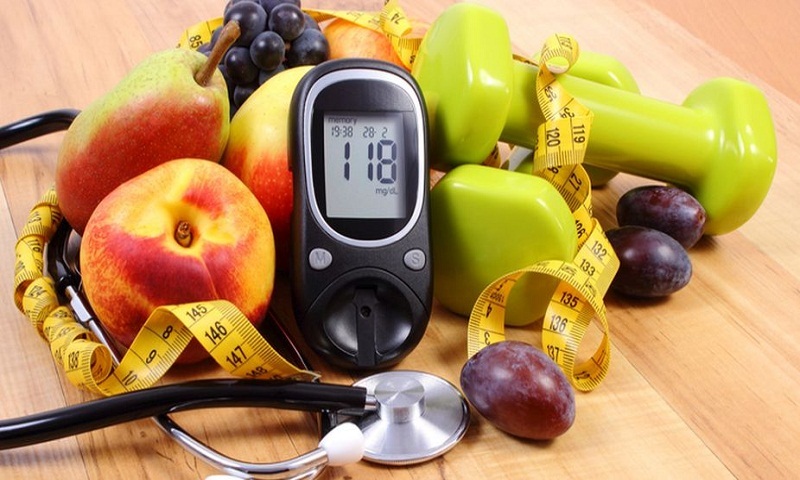 And, type two diabetes can be controlled to a great extent with the help of natural food. These power-packed foods will not only control diabetes, but improve your overall health. Green leafy vegetables: Green leafy like spinach, lettuce, cabbage are healthy and low carb food. They may reduce type 2 diabetes because of high concentration of polyphenols and vitamin C both of which have antioxidant properties. Their high magnesium content and low glycemic index also make them valuable for diabetics. Soya: Soya is a healthy low fat source of protein having no cholesterol. It is high in fibre, vitamin B, potassium and essential amino acids. It is the only plant protein that has the same protein quality as eggs or meat. It provides a concentrated source of compounds called isoflavones. These compounds offer potential benefits for individuals with diabetes. Type two diabetes increases the risk of heart disease also. Soya helps to prevent them too. Zucchini: Zucchini is a good source of fibre content that lowers the cholesterol levels and aids in weight loss. Rich source of folate, vitamins, minerals, protein and high content of omega 3 fatty acids makes it an excellent choice for diabetics, regulating blood sugar levels. Raw food: Cooking destroys the nutritional benefits like vitamins, phytonutrients and enzymes. Blood sugar levels drop with the decrease in body weight. Raw food also improves the glycemic control which is beneficial for diabetics. These food include cucumber, tomato, pumpkin, avocados, carrots, radish etc. These fruits are less sweet than the regular fruits and full of variety of nutrients like proteins and vitamins. Fruits like melons and strawberries are less sweet and full of fibre and nutrients. They are delicious option to satisfy your craving for sweets consuming very less carbs. Low fat or fat free cottage cheese: Cottage cheese is low in carb and rich in protein. It is a healthy diet which you can enjoy but with portion control. Two ounces of cottage cheese per day is sufficient for an individual with diabetes. Olive oil: Good quality olive oil lowers the risk of type two diabetes. It contains important vitamins, nutrients and high amount of antioxidants. Also rich source of monosaturated fats, it is good for diabetes. Low fat or no fat yogurt: If you are diabetic, stick to a no fat or low fat yogurt only. Rich in calcium, its one serving a day reduces the risk of type two diabetes by 17 per cent. Oily cold water fish: Health experts say that every individual with or without diabetes should consume more omega 3 fatty acids in their diet. The richest dietary source of omega 3 fatty acids is oily cold water fish also known as fatty fish such as salmon, mackerel, sardines and herring. They contain important vitamins, minerals, protein and healthy fat. They are low in saturated fats. Their consumption is important for cardiovascular health. Diabetics are at increased risk in developing heart disease. Eggs: Eggs can be enjoyed by diabetics as a healthy balanced diet. Eggs have many nutrients such as lutein and biotin which are important for insulin production and fight against disease. Whole grain: Whole grain are low in calorie and rich in fibre. The fibre helps in controlling blood sugar levels and cholesterol. It also helps in digestion process and makes you feel full that stops you consuming those extra calories. Water: Water does not have any calories or sugar. It is considered as the best drink. You can add some healthy flavours like lemon, green tea or cinnamon. Plenty of water intake is a healthy solution to reduce sugar level in your diet. Sprouts: Sprouts do not contain the ultimate glycemic load. Rather, they contain vitamin B, vitamin C, vitamin K, protein and a number of minerals. Diabetic patients should incorporate sprouts in their daily diet to control sugar levels. It is never late to make a positive change. Lead a healthy long life by controlling weight and blood sugar levels.